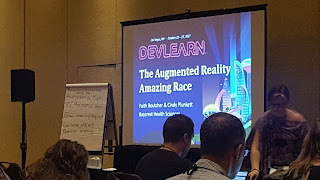 I love DevLearn. It’s a conference that lets you dream about possibilities. It lets you throw “practical” out the window, put aside issues of cost and implementation, and just ask what-if. What if there were a space dedicated to faculty for the exploration and experimentation of augmented reality? 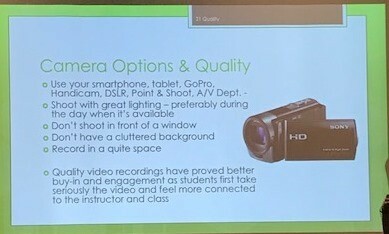 Faculty would be provided a bundle of development apps (think Aurasma) and a variety of devices such as an Android phone and iPad and a basic set of instructions. Completed test projects would be uploaded to a common area for sharing with other interested faculty developers. The words “no” and “can’t” would not be allowed, only a loosely structured testbed for the nurturing of ideas. What if there were a series of open forums between faculty, students, course developers, and regional employers? The forums would consist of open discussion on how technologies could be implemented to improve 1) teaching, 2) the student learning experience, and 3) the media literacy needs of future employers. What if Jesuit institutions could work as a collaborative to purchase technologies as a single unit? There would be one LMS solution for all 28 institutions. One SIS system. One Payroll system. One HR system. With one common support system for all that would be one phone call away. Annual cost savings alone would be sufficient to fund a number of technology projects. What if we had the budget to fund a sampling of AR/VR/MR technologies along with several example apps and let faculty “geek out” and get a taste of what’s possible. 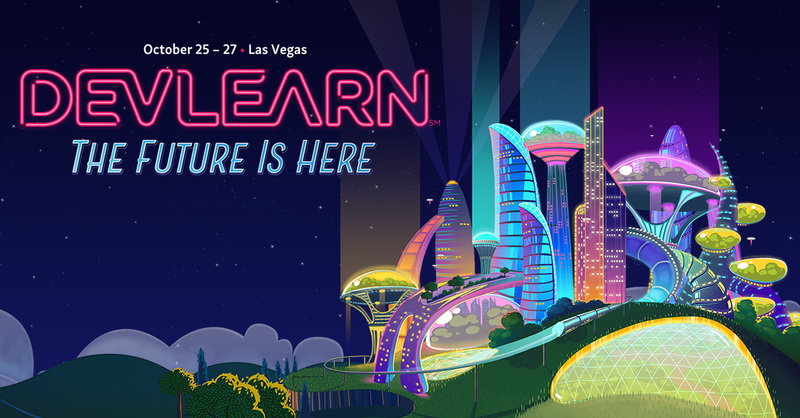 All of the above occurred at DevLearn this past October, although with not the specificity that’s described above. Several companies, including The eLearning Guild, sponsors of DevLearn, put on a display of augmented/virtual reality that was amazing to experience as well as watch others experience for the first time. eLearning Guild had a large booth set up with VR devices from Sony, HVC, Oculus, and Samsung. Attendees strapped on these devices and participated in experiences to demonstrate the power of virtual reality. No one was saying “too expensive” or “too resource intensive” or “too this” or “too that”. It was a hands-on, balls to the wall, real time demonstration of what’s possible. There were also a number of round table discussions on topics related to technology in education. One of the most telling was an informal discussion on media literacy and digital literacy and how we are preparing students on their use in the workplace. The overarching opinion was that higher education, in general, does a poor job at preparing students in these crucial areas. In short, the majority of students are not prepared and higher education needs to place more emphasis on integrating the technology tools used by businesses so new hires can hit the ground running, particularly with electronic collaboration. My biggest takeaway from this conference? Start any project, particularly projects involving something new and innovative, by asking those no-holds-barred, no boundaries, what-if questions of what's possible. Dream big. Scale back as reality sets in, but always reach for the stars. This was my first Fusion Conference, and I consider it a great opportunity. I came away from the conference believing that our Learning Management System (LMS) is pretty impressive. 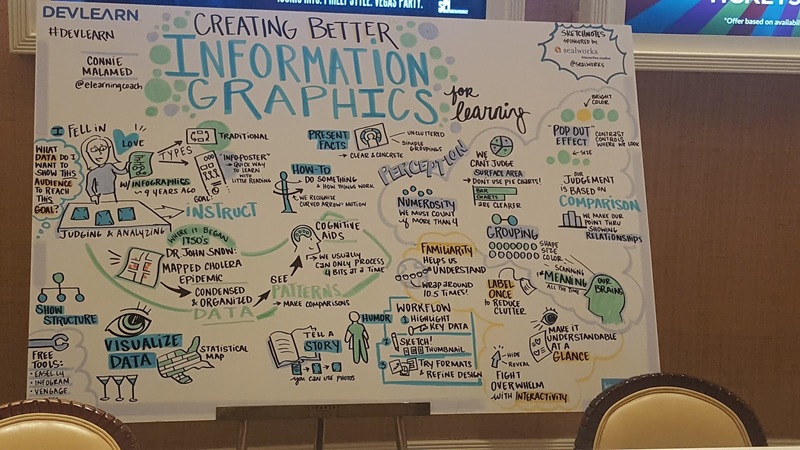 I have to realize the conference was put on by Brightspace (D2L), but I was very impressed with their vision, their desire for innovation, and their goal to reach every learner. I believe our LMS has many features that we haven't explored enough to determine if we want or how we would utilize the capability. For example, one session was on "Getting Started with Personalized and Adaptive Learning". D2L has this capability, and we really need to investigate more and determine our strategy around Personalized and Adaptive learning if we are hoping to stay competitive. I appreciated their clarification given around the terms Personalized and Adaptive. Personalized Learning - taking into consideration the different needs and learning styles. Adaptive Learning - is a subset of Personalized Learning, and is reacting to the inputs of a particular student. Greg Jorgensen and Instructional Technology Specialist from St. Cloud State University gave a session on: Content- Put It All In Your Course - Adding All The Things To Your Course Content. I enjoyed this session, and agree that "You don't want to do something just to do it. It needs to align and increase interactivity. From this session, I think we need to discuss external sources we are using in our courses and determine if they can be accessed within D2L and make the access somewhat transparent to the student. For example: you can create a link so a student automatically goes to Adobe Connect. In a session titled: Setting Students Up for Success Through Student Engagement, I discovered that YouSeeU has a partnership with D2L and it is a free offering in the core platform. It also provides a Virtual Classroom Feature with no plug-ins required, and is completely browser driven. This is one of those features that I wasn't aware of, but we really need to investigate taking advantage of this capability. 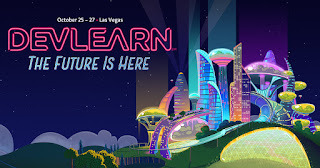 This was a very good conference and hopefully some of the highlights I've shared are helpful, and can be the foundation for our growth with our LMS. Please feel free to stop by or call if you would like to discuss in more depth any of the above highlights. Do You Have a Textbook In You? It was interesting to me because I do wish to publish a book one day. I thought of it when I was teaching Communications at ITT-Tech. I wished I could make it easier for students and have a more useful information in the textbook instead of very complex and full of terminology that students will never remember and use. I will learn more about this process and be able to provide some information to our faculty, if some will express an interest. 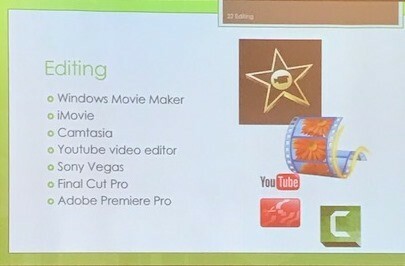 CU Online Creation Station- Videos with the Touch of a Button! 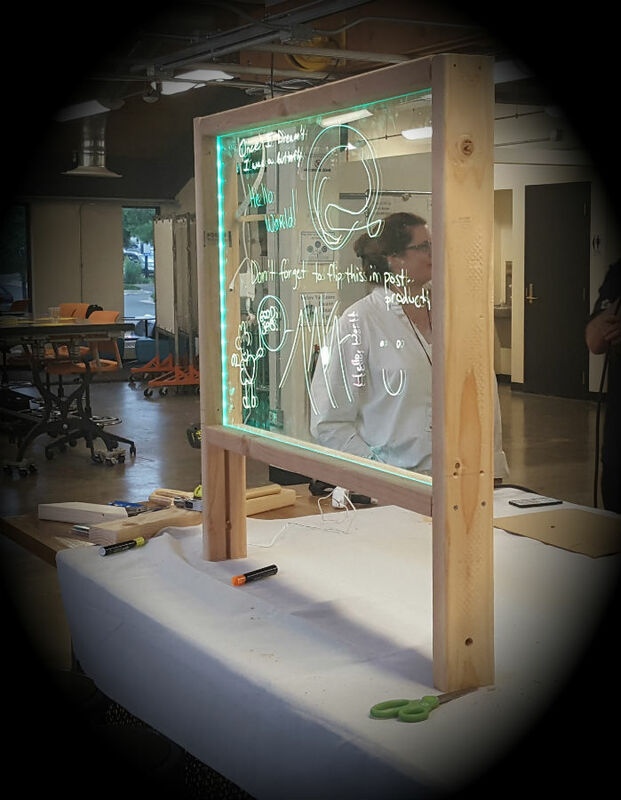 In the spring of 2017, CU Online adapted the Penn State One Button Studio™ model and designed a ˜Creation Station™ for faculty. CU Online not only adapted this idea, but also created additional media solutions specifically designed for faculty. The Creation Station allows faculty to create high quality audio and video with the push of a button! Amy Arnold, Academic Services Senior Professional, University of Colorado Denver. Great session and a great service, but I am not sure if Regis has the budget and resources for that. 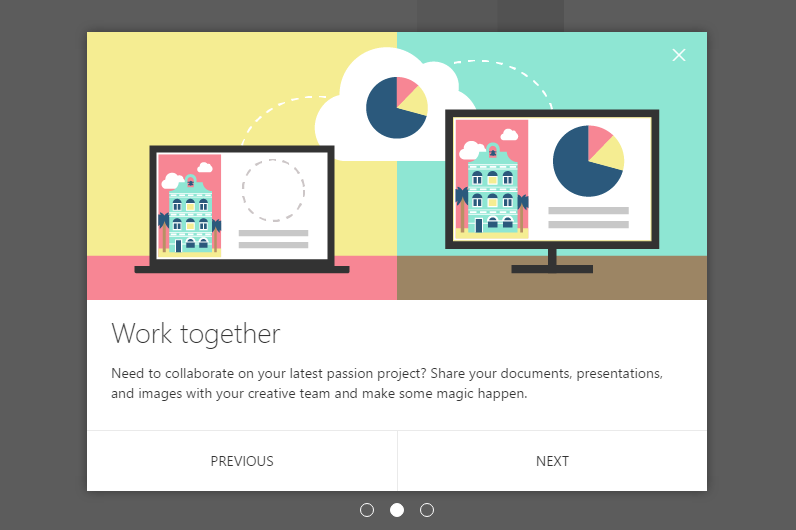 OneDrive allows you to sync (including SharePoint online team sites), share, and collaborate on all files anywhere and anytime across PC and Mac in Office 365. I have Office 365 and OneDrive on my devices, but I didn’t have a chance to use OneDrive yet. So, this session was very informative on how this team is using it, and made me go and read more about OneDrive. Anne is a great asset for RRCC. In her presentation she talked about why flipping your classroom is a great idea, what to consider, technical aspects, and more. In this session they talked about enhancing courses with Spry (Accordion), Tabs, Knowledge checks, and Articulate Storyline. We are already using most of them in our courses, but it was good to see how other colleges use them and what they are focusing on. Dave was very enthusiastic and happy with the things they are able to do in Canvas, the things they are currently working on, and the things they wish to improve. It was an excellent presentation and great insights, but we are not changing our LMS anytime soon. So, I guess it was good to learn why some colleges prefer Canvas over others. 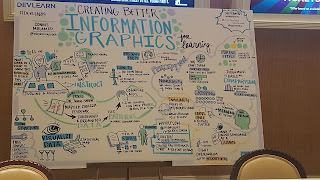 I attended the ATD ICE conference (http://www.atdconference.org/About/Reasons-to-Attend) in Atlanta last month as a volunteer which means the conference fees were waived. For each day I volunteered I received a complimentary day. I volunteered two days and received two days free! What a win-win. One day I served as the volunteer day manager which turned out to be a 12 hour day. My second volunteer day wasn't as taxing. I served as a room monitor which means I was able to select the room I wanted to work in for the day to help the speaker, count the number of attendees, and make sure the room was tidy along with materials and water. I wanted to hear. Again, this was a win-win for me. This international conference includes 10 content tracks of Science of Learning, Instructional Design, Learning Technologies, Learning Measurement & Analytics, among many others. This is a fabulous conference for those in Higher Education. In fact, one of the four Industry Tracks includes Higher Education. There were special events and receptions for those in Higher Education to meet and network on a global scale. In addition, Thomas Gilhooley, of Regis University's Higher Learning Partners was interviewed as part of the conference video summary. Thomas is interviewed beginning at 2:30 minutes into this video, see http://www.atdconference.org/About/Video. Further, there are many session tracks such as Healthcare, Education, Global Voices, Innogizer, Leaders of the Profession, Panels, Senior Leaders, Learning Transfer (applicable for back on the job), and Voices of Innovation. One "Science of Learning" track speaker was Britt Andreatta of 7th Mind, Inc. She spoke about the power of teams. Her neuroscience research discusses how to build more effective teams. 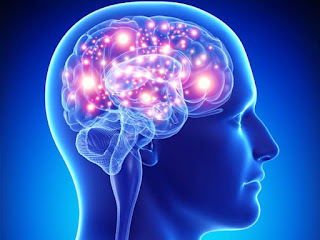 To do this, we must understand how the brain works and the human biology that works toward building collaboration, trust, productivity, and engagement. She discussed the metrics of inclusion and psychological safety affect team engagement. Britt cited that over 86 percent of employees and leaders lack the skills to create an effective team which leads to workplace failures. This information is astonishing. If you would like more information on Britt's research, her latest book is titled, "Wired to Resist." She can be contacted at http://www.brittandreatta.com/. The keynote speakers (http://www.atdconference.org/Speakers/Keynote) included Captains Mark and Scott Kelly who spoke on their experiences that shaped their views on teamwork and collaboration, overcoming adversities and dealing with tragedies. Dr. Kelly McGonigal, Health Psychologist and Lecturer at Stanford University spoke about the upside of stress. Her book by the same title, "The UPside of Stress: Why stress is good for you, and how to get good at it. Here's a link to her TED Talk, https://www.ted.com/speakers/kelly_mcgonigal. The final keynote speaker was inspiring, Dr. Ronan Tynan is a medical doctor, paralympic champion and lovely Irish tenor. He spoke on hitting the high notes by living life to the fullest. I highly recommend this conference for those interested in hearing from experts in our field of learning and education. There we also many, many exhibitor sessions, author chats and meet and greets. The exposition included over 400 vendors. What fun that was!!! On a final note, being Certified Professional in Learning and Performance (CPLP) I attended the annual ATD Awards ceremony and reception, sponsored by Harvard University, in which corporations and individuals were recognized for their efforts . Dr. Maureen Orey, CPLP, of Brandman University was recognized for her dissertation titled, "Is it Worth It? The Career Benefits and Return on Investment of Volunteer Leadership as Perceived by Chapters Leaders in a Professional Talent Development Association." As part of her research findings, the study participants reported volunteer leadership led to transformational change as a leader within their current workplace environments. For many study participants who were business owners and consultants, they reported a 424 percent return on investment. As the 2017 Chapter President of ATD Rocky Mountain Chapter (www.atdrmc.org), these research findings resonate with me. Along with serving as a coach for the Regis Leadership Institute and a mentor in the upcoming academic year, I find that all of these experiences are tools to help me develop my leadership skills. So if you are looking for opportunities to develop your leadership skills, volunteer leadership is an investment in yourself which has a large return on investment.